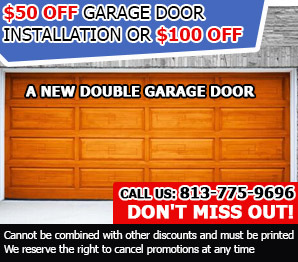 Had enough with garage door issues? Whether it is through emails, phone calls, or on-site queries, these are the frequent topics asked of us by our dearest customers. We’ve gathered and organized the topics so they will be simple and easy for you. Browse through the list of questions and answers for your inquisitive mind’s content! Can I buy a wireless keypad door entry to my existing door opener? This depends on the type of opener and the year it was purchased. It should be available for your opener. Garage door experts in Brandon suggest that you check it directly from your manufacturer or the dealer where you got your opener from. I lost my garage door remote control. Is it possible to buy a new one? Yes it is. Contact your dealer for a new one and be sure to take good care of your remote to avoid loss. Keep it just like you do with your keys for it can compromise your security. Keep it out of reach of children because of the dangers of opening and closing the door. What are the important measurements for garage door installation? Before installing your garage door you have to know the measurements and specifications of the door, your garage, and the opening where it will be fitted. These measurements include the headroom, side room, length, width, and depth. Irregular shapes should also be taken into account such as different ceiling heights. Why is regular service care needed for my garage door? Even if you take care of your garage door properly, a sensitive mechanism is at work each time you open and close the door. Parts included in this mechanism bear the burden of the door's weight so that it opens and closes slowly. This constant strain tends to degenerate and break the parts. Therefore, it will need regular replacement.